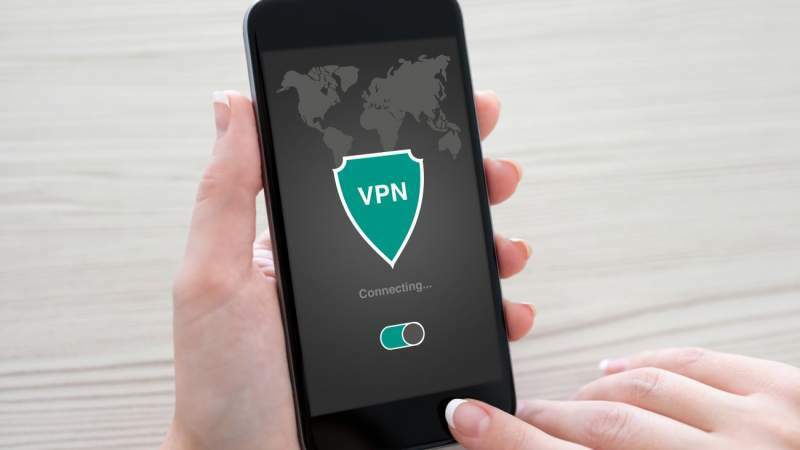 A Virtual Private Network, also known as VPN, creates an encrypted connection between your computer and a dedicated remote server – a tool that communicates with the internet on your behalf. Simply put, all your online activity passes through the VPN’s server before it enters the public domain. Thus, VPNs protect your data, identity, and other information from malicious entities such as prying government agencies, ISPs, and cybercriminals. VPN also enables you to tap into region-specific streaming services, regardless of geographical restrictions. Assuming you are traveling through Asia, but you still want to enjoy your favorite American Netflix shows, you can use a VPN service to bypass the regional restrictions. The service also allows you to evade internet censorship and watch, read, or listen to whatever you want. VPNs achieve this by making it seem like you are someplace else. If you’d like to appear to be in France, all you have to do is connect to a server located in France, and voila! However, as great as all these sound, not all VPNs perform as advertised. Some can reduce internet speeds by up to 75-percent. Also, some sites such as Netflix are continually cracking down on VPNs and this could render your investment moot. That being the case, it can be daunting to choose among the 300-plus VPN providers on the market. We are aware of this, and that is why we compiled a list of the top five VPNs, with special consideration finding the right ones for value, speed, security, and reliability. This is perhaps the best all-around VPN provider on the market. ExpressVPN is often lauded for its terrific download speeds and exceptional performance, backed with excellent customer support. The British Virgin Islands-based provider boasts 1,700+ servers in over 145 locations in 91 countries. It also claims more than 15,000 IP addresses. Apart from NSA-grade AES-256 encryption, ExpressVPN offers routers with custom firmware, P2P support, a zero-logging policy, VPN browser extensions, and native clients for Mac, Windows, Linux, as well as iOS, Android, and even BlackBerry. Its DNS content unlocking feature can unblock a wide range of smart TVs and streaming media, which may be a plus for some users. It’s also one of the few VPNs that can claim a universal Netflix and torrent access. All these come at a cost, but not an unreasonable one. The monthly rate is $12.95, but an annual pack will lower this to $6.67. One would expect that one of the world’s top VPN providers would be found in a tech hub like Silicon Valley; but surprisingly, NordVPN hails from Central America. Regardless, NORDVPN is an ultra-secure provider with over 2,000 servers located in 61 countries. Claiming the “tightest security in the industry,” this VPN encrypts your data twice and features a strict no-logging policy. NordVPN includes internet and app kill switches that automatically drops the internet connection if the VPN is disconnected. With six simultaneous points of connectivity through its network, it is the most generous provider out there. DNS leak protection, optional dedicated IP addresses, compatibility with most operating systems, and 30-day refund policy are only some of the many worthwhile features NordVPN offers. Despite the immense amount of privacy offered, NordVPN only provides average download speeds – and the monthly $11.95 price is on the richer side. But, you can opt for the two-year plan to pay as low as $3.29. Created almost two decades ago, the Florida-based provider has cut a niche for itself in the VPN industry with over 900 servers in 60 locations across all habitable continents on Earth. IPVarnish claims to hold upwards of 90,000 IP addresses and is compatible with every OS and device imaginable. Its selling point is its unlimited P2P traffic capacity and the ability to access and download all kinds of torrent files. It also comes with a no-log policy, a tweakable software, and supports all significant VPN proxies. At $7.50 per month, it is priced lower than the rest. You can further lower this figure to $4.87 if you purchase the yearly plan. The Romanian/Germany-based provider has accrued over 15 million users since its launch in 2011. It offers 365 servers in 115 locations spanning 27 countries globally. It also provides over 1400 IP addresses and a diverse range of feature-packed clients. Security-wise, it comes with the industry’s standard AES-256 encryption and does not allow logging. Having the most user-friendly interface does not mean that its performance is simplistic. It software platform is fully compatible with most major VPN protocols and all major devices. Its servers return speeds of 51.10 Mbps, which are on the moderate-to-high end of the spectrum. CyberGhost is also torrent friendly and includes several P2P-optimized servers. At $11.99 per month, it is the second most expensive provider on our list. Choosing the yearly plan reduces the price to $5.99 per month. A product of one of the most vocal advocates of free internet and information privacy policies, the Golden Frog company, the Switzerland-based provider offers a truly intuitive VPN service. VyprVPN offers more than 700 servers in 73 locations and provides over 200,000 IP addresses. It features an auto-connect feature, an internet kill switch, and the firm’s propriety Chameleon protocol – VyprDNS – which offer bolstered security. Clocking in at 74.48 Mbps, VyprVPN is faster than most higher-priced providers. However, this service does log some information. Nothing of significance is kept, just login times and IP addresses. That being said, the $5.00 per month price is enough to convince most users to overlook that one unfortunate point. Upgrading to the premium package, which offers five simultaneous connections, will set you back at least $6.67 with the yearly plan.